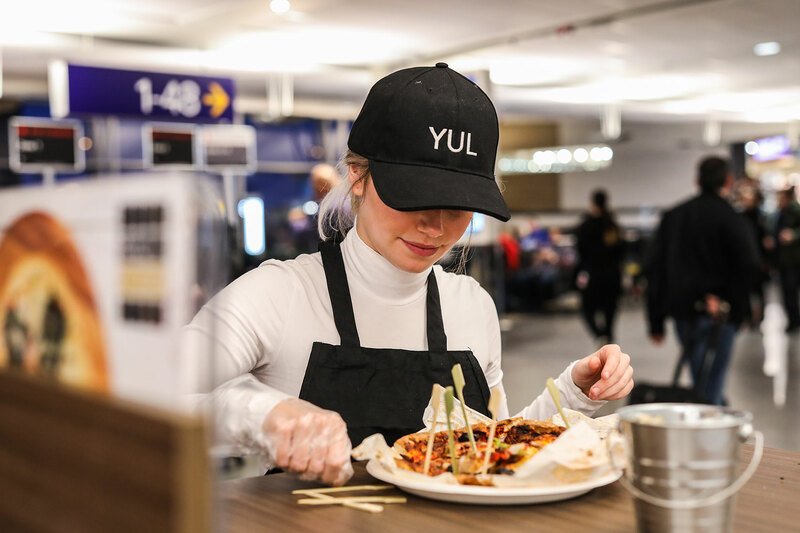 Airports are huge and people passing through them often don’t get to see all the quality restaurants on offer or experience their specialties. 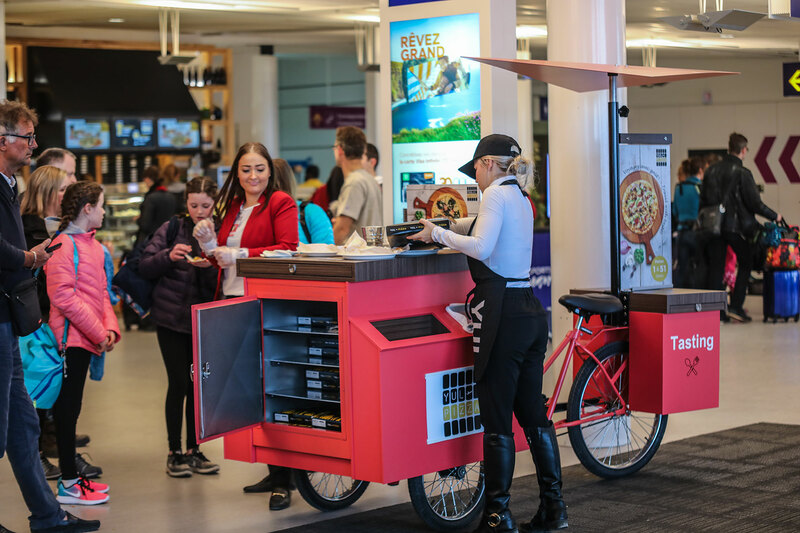 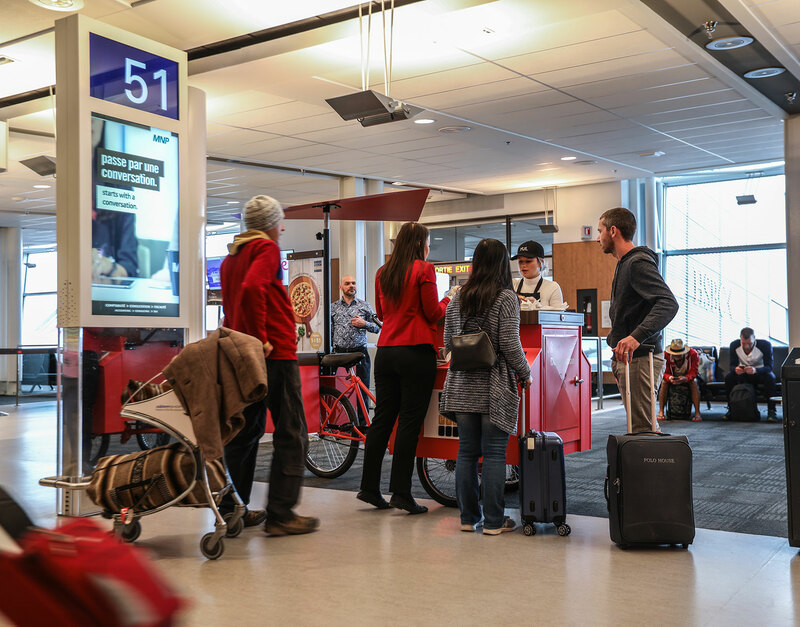 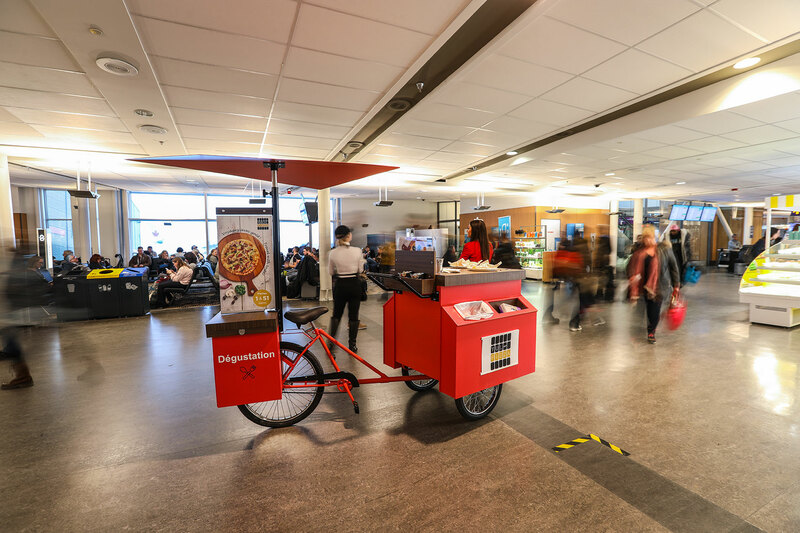 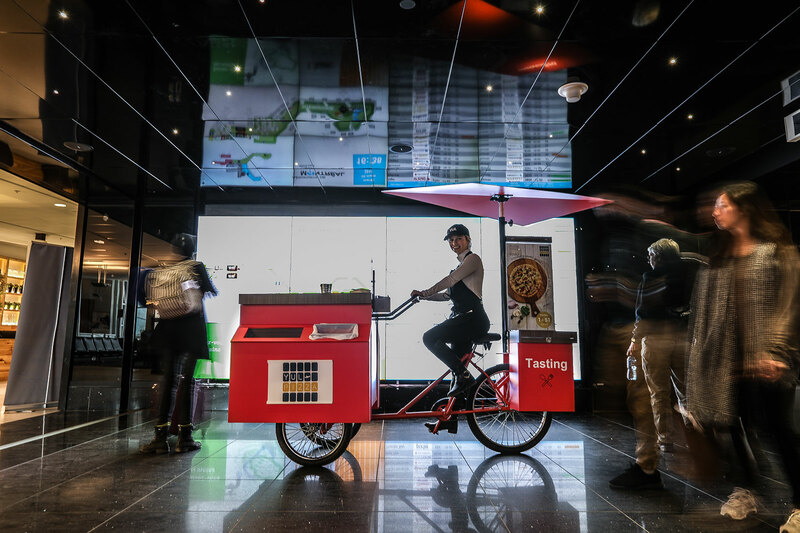 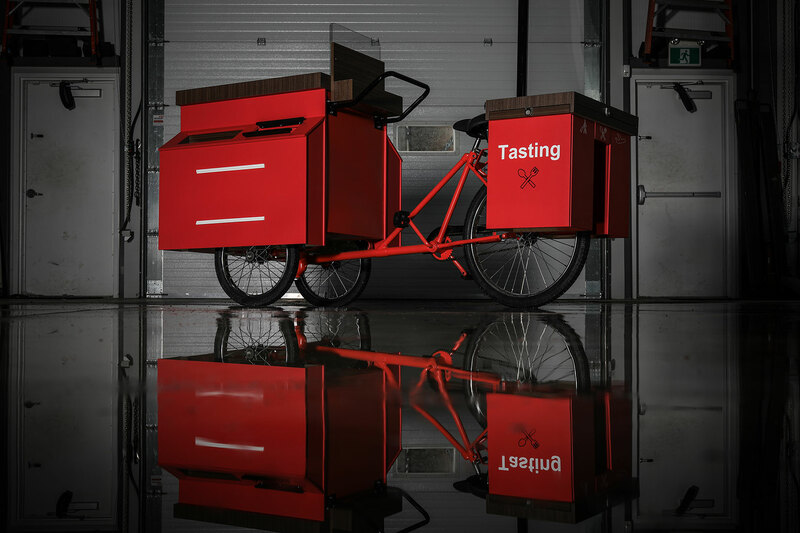 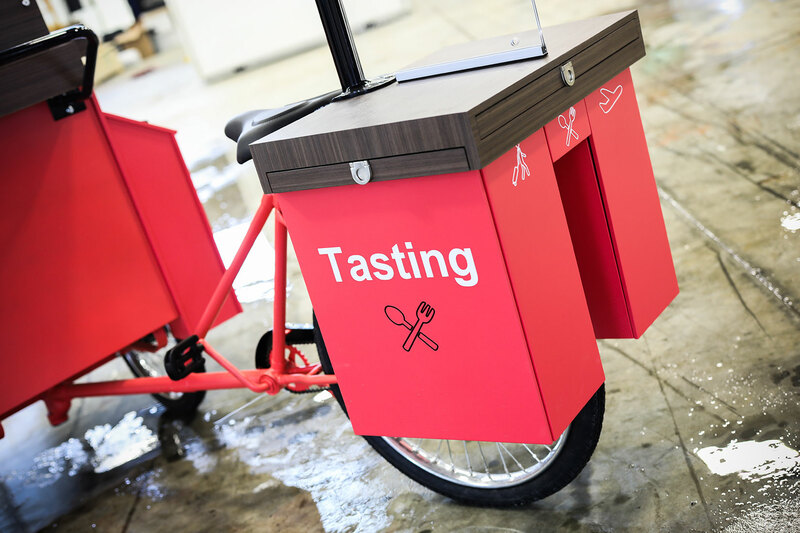 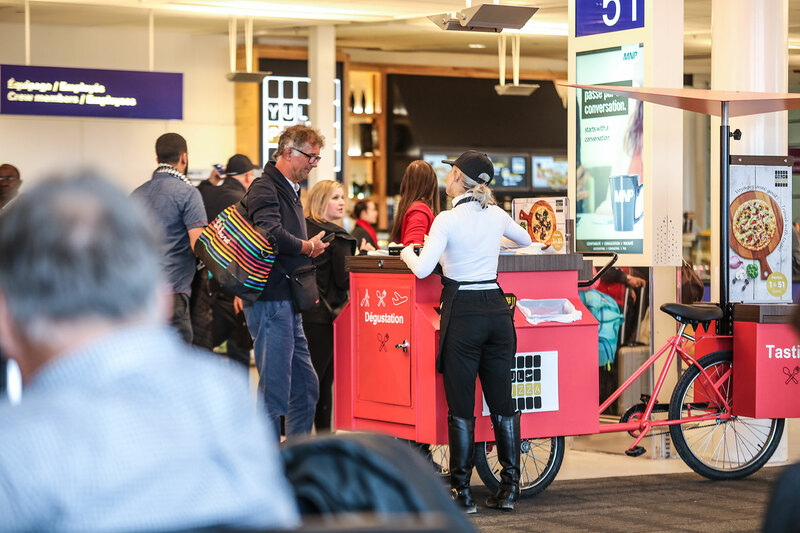 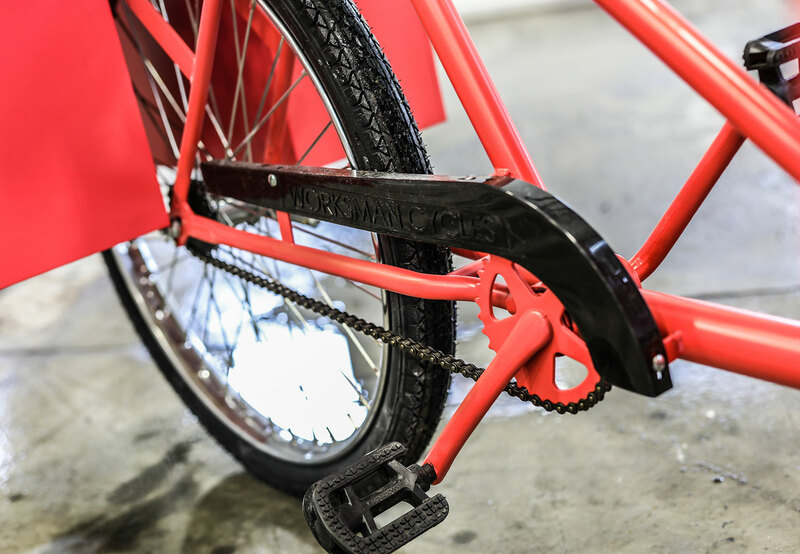 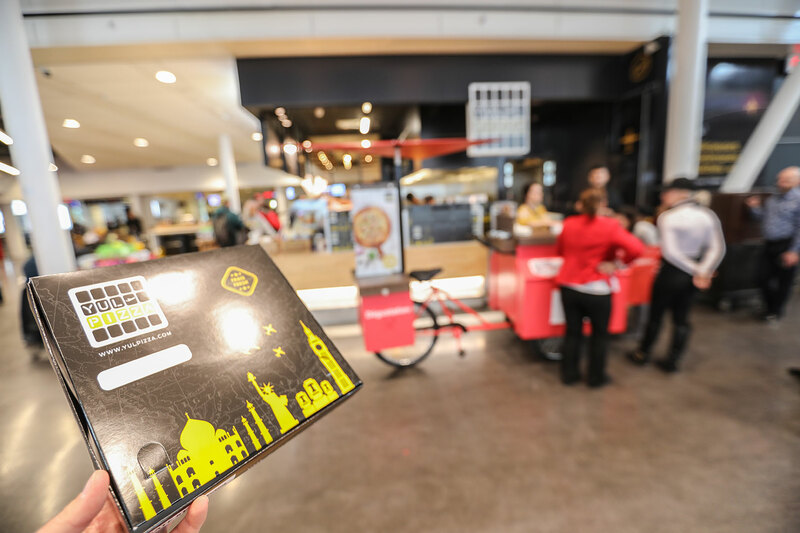 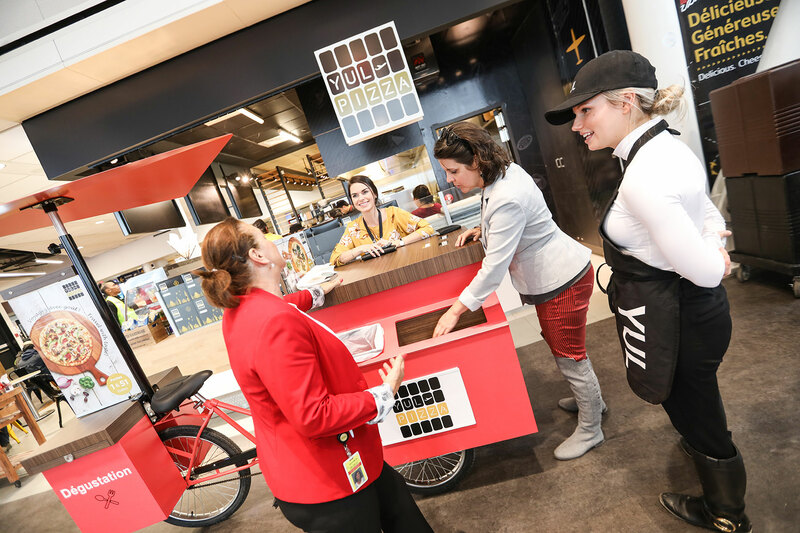 To help expose more restaurants to more travelers in a tasty way, Loki Box Design came up with the perfect sampling solution for YUL Montreal: the mobile, bike-mounted sample wagon. 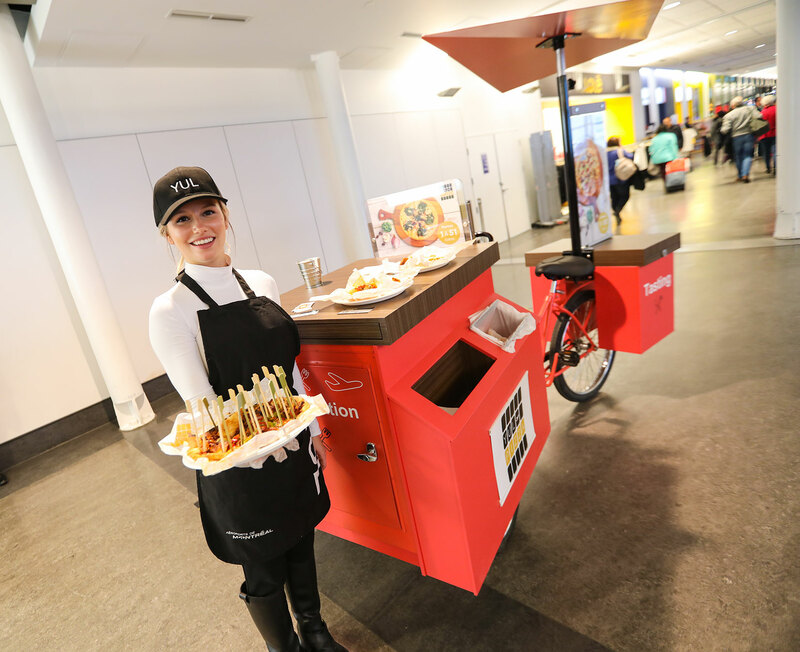 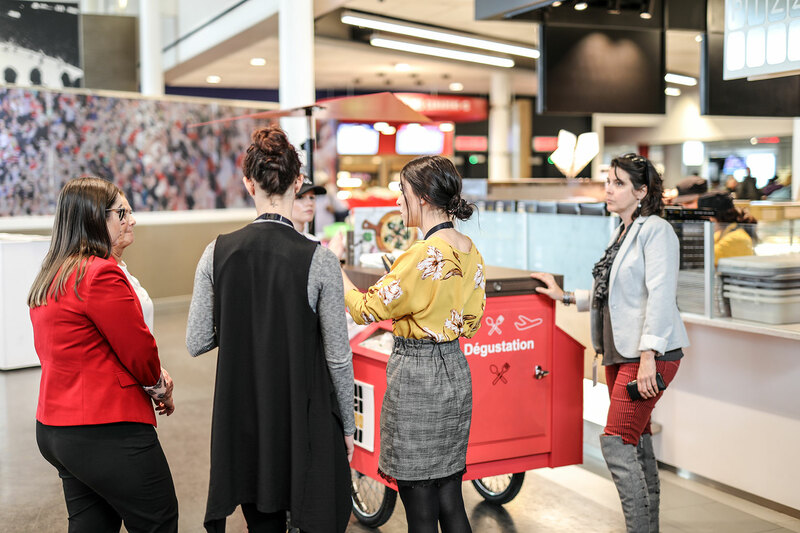 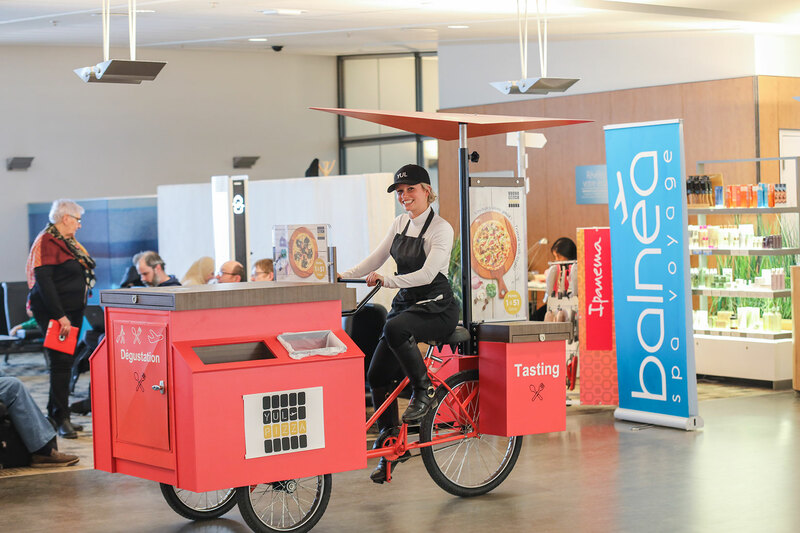 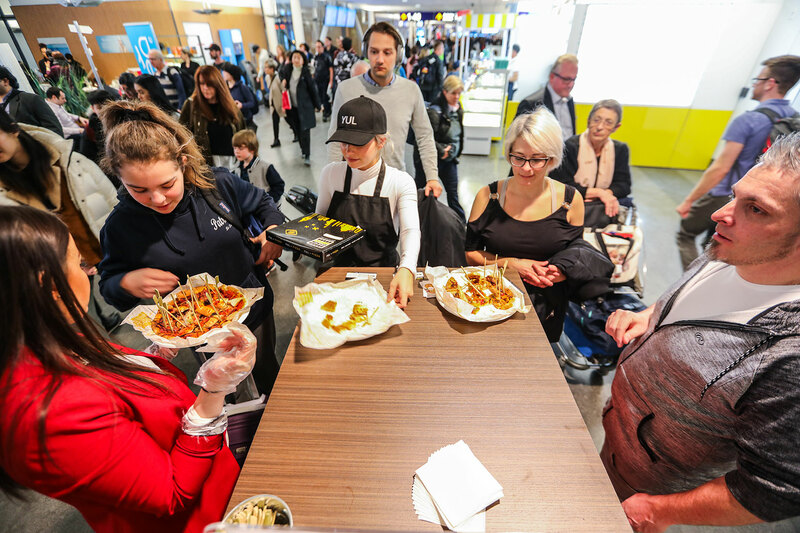 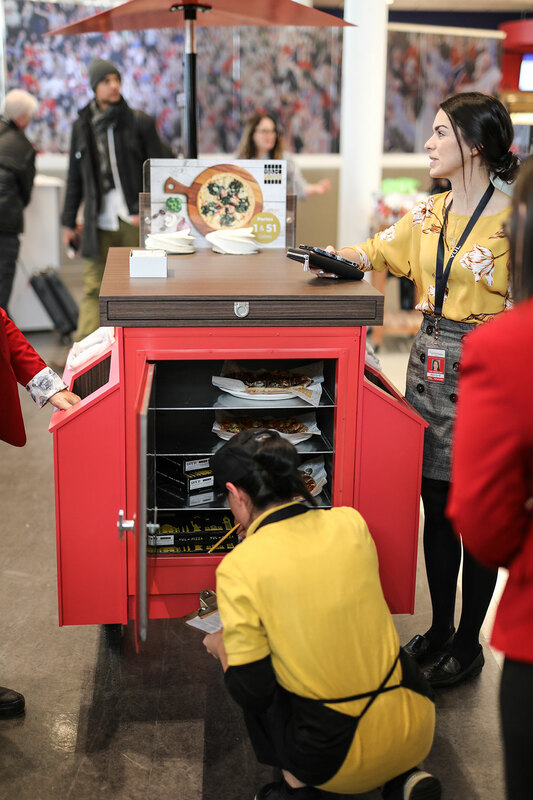 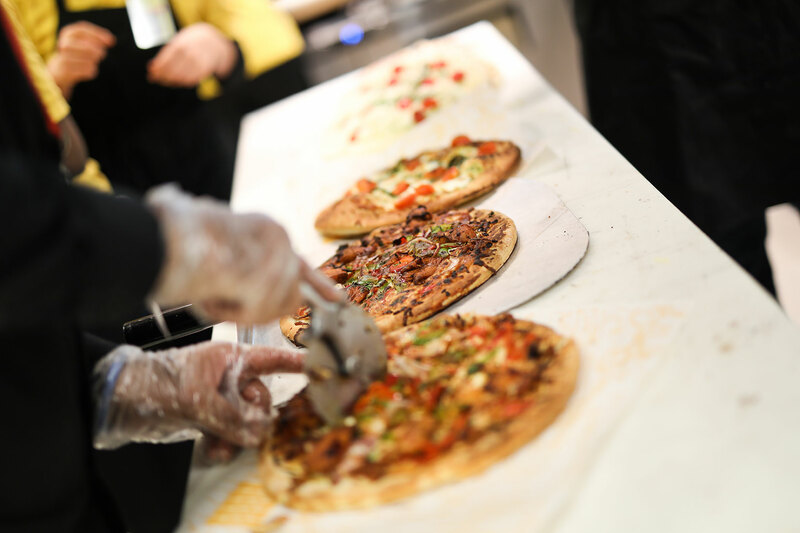 This eye-catching, environmentally-friendly cart can go virtually anywhere in the airport’s public or secure spaces, offering tempting samples of the restaurant of the day along with coupons to help drive visits: Monday is pizza from one restaurant, Tuesday sandwiches from another, and so on. 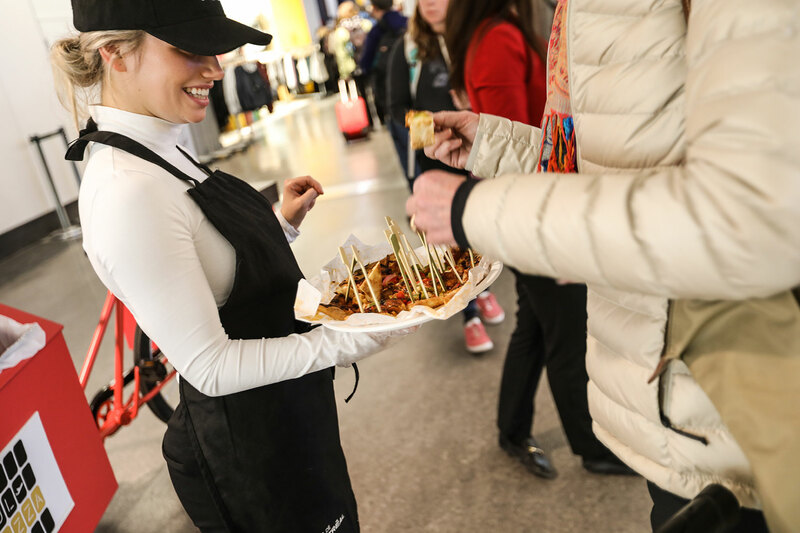 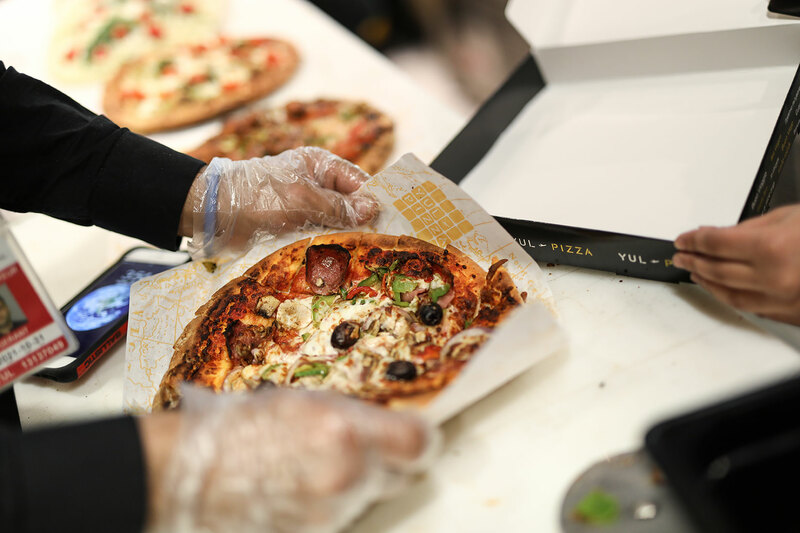 It’s the perfect marketing tool to help airport restaurants get the exposure they need with travelers who might not otherwise know they exist. 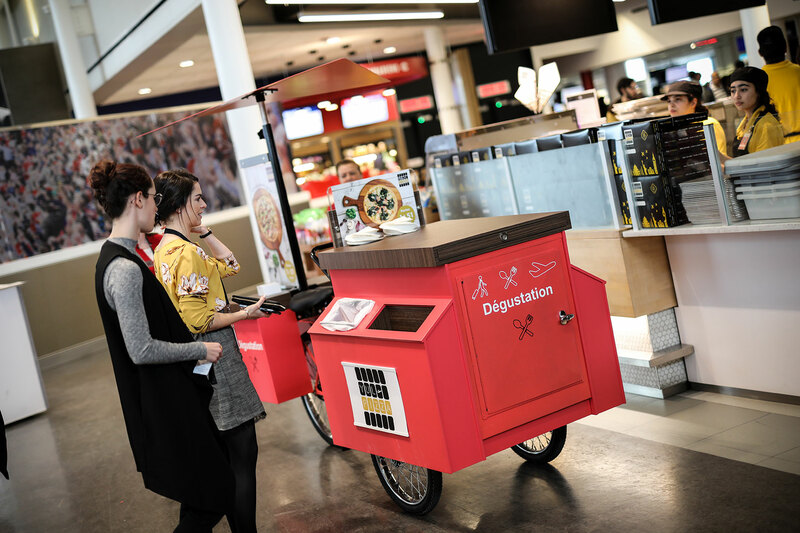 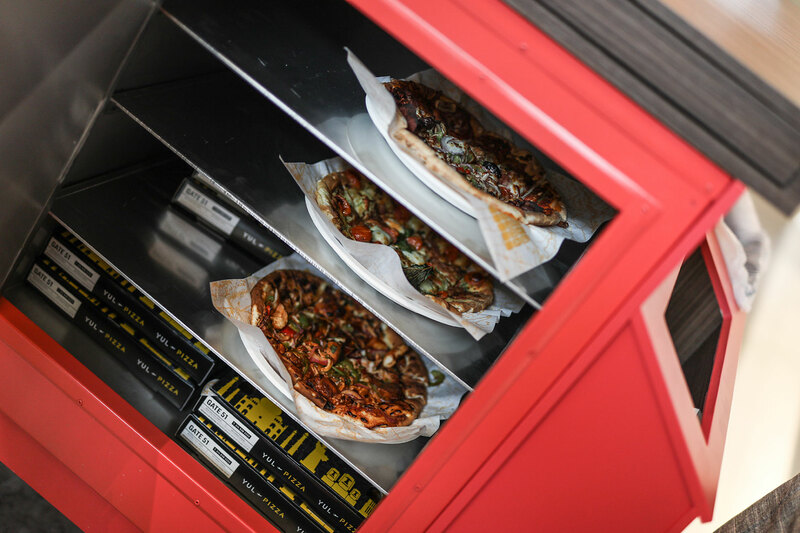 The concept includes a tomato-red working tricycle with an insulated storage unit mounted up front that can keep food either warm or cold as needed, as well as handy faux-wood display surfaces for showing off the food on platters or in individual sampling containers. 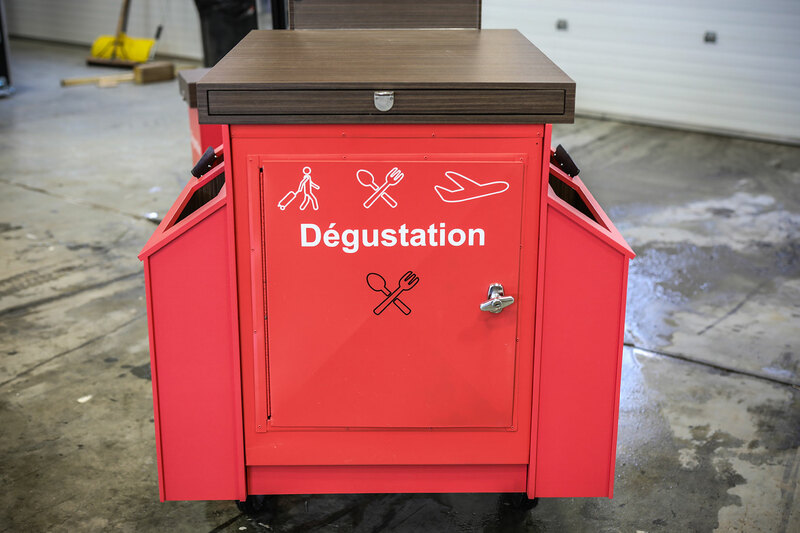 The recycling and waste compartments are also built in. 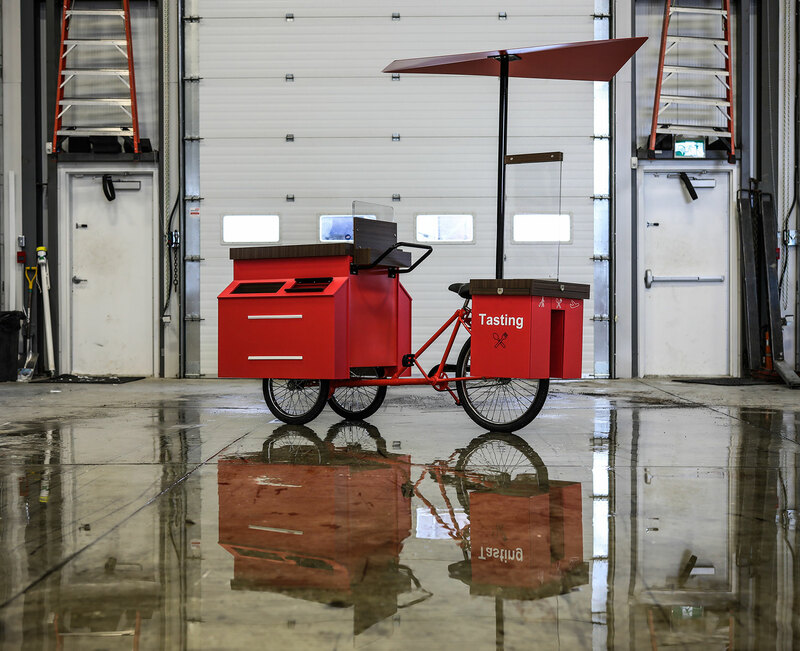 A smaller utensil storage unit sits panier-style behind the rider’s seat. 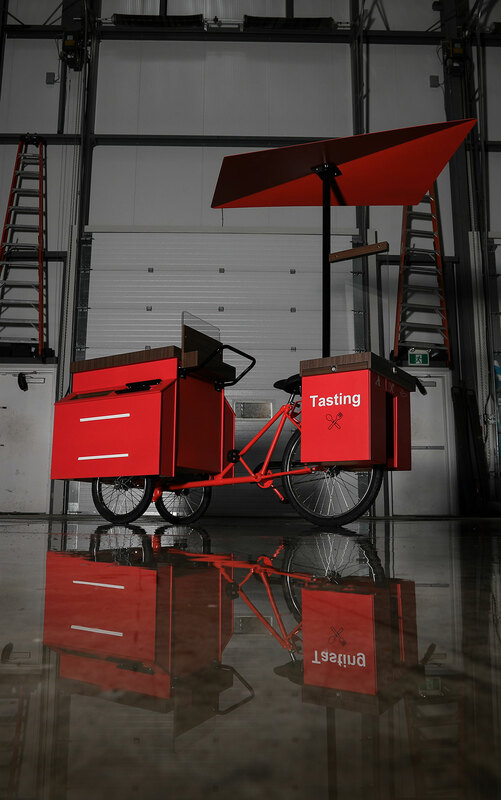 A stylized umbrella overhead gives the sampling cart a ready-to-go outdoor feel.